Intellisence for bdd action steps. Syntax highlight for specs. Go to action step definition from spec. BddSpecAssist (BSA) provides syntax highlighting for spec (Given,When,Then,Parameter tokens) and intellisense through action steps. Intellisence model keeps itsself up to date by observing following file events: change, add, delete. 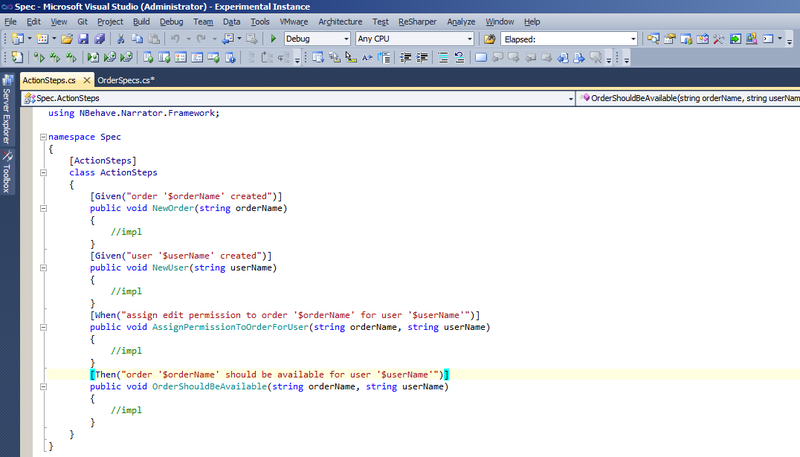 BSA bound already typed parameter values for suggestions. 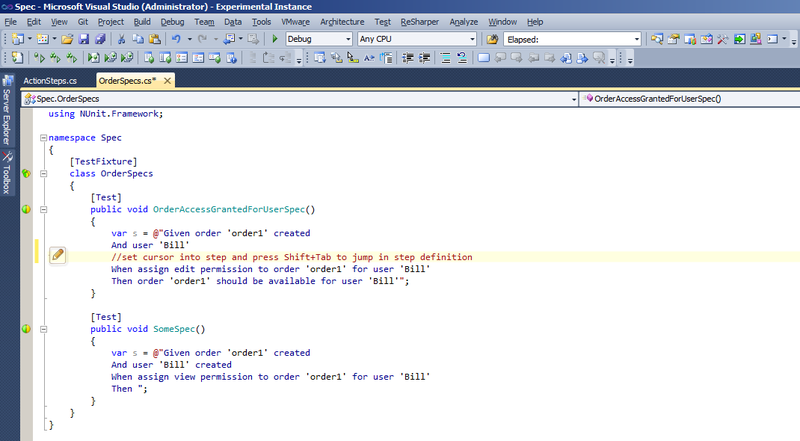 In the screen below 'order1' parameter value was bound for all suggestions. BSA allows to navigate to step definition by setting cursor on step in spec and pressing Shift + Tab.